If you haven’t seen my other LUSHious post please do take a look. I’m reviewing some different Lush beauty products. As we all know Lush can be very expensive, that’s why I like to ask opinions of others who use the products and always get a sample. That’s where this idea of the “LUSHious” posts came from. 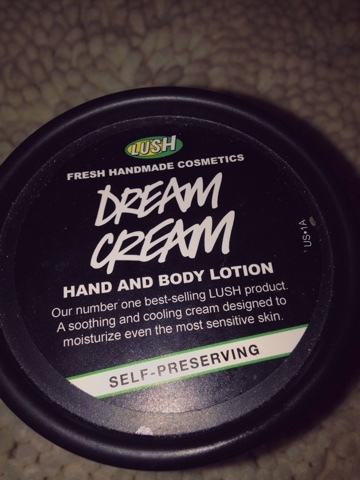 This is a review on one of Lush’s best selling products, Dream Cream. 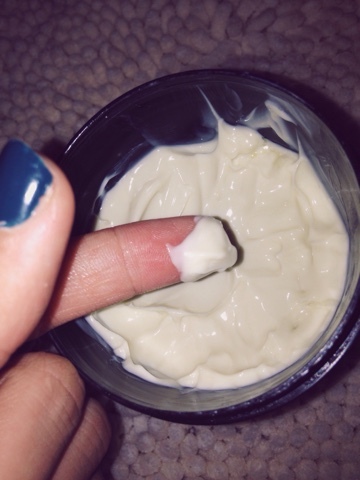 The reason why I love so much and I’m sure others do too.. It’s a soothing and nourishing body cream so it makes you feel great and also helps dry skin! The first time I bought this body cream was when I had sun poisoning. It consists of oat milk, chamomile, and lavender which helped soothe my skin and olive oil and cocoa butter which helped any dryness. The ingredients make it great as an all year long body lotion and I even put a little on dry spots on my face during the winter. This product comes as an 8.4 oz pot for $27.95 but I promise you a little really does go a very long way (and I’m not just saying that). If you don’t want to commit just go in and ask for a sample and try it out, you won’t regret it! !